Vis Pesaro more and more 'social, multiply the platforms of the Network live to make footballers, families, fans, sponsors closer to the Biancorosso Planet, is born therefore the Facebook page entirely dedicated to the Youth Sector, Vis Pesaro Women's Soccer and Vis Camp. 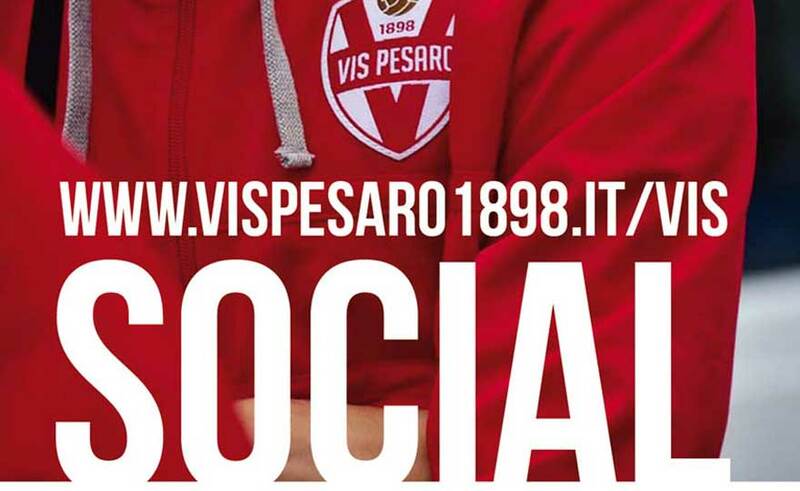 The growth also passes through new social technologies, the Vis Pesaro channels are: next to the page FB Vis Pesaro 1898, full of content related to the First Team and not only, Instagram: @VisPesaro with many photos and stories, You Tube: Vis Pesaro Channel and website: www.vispesaro1898.it. Media portals able to provide live news and updated in real time concerning transfer market, sports performances, exclusive interviews, events on the territory, values ​​and identity of the Vis Pesaro brand. "We are changing internal and external communication, - underlines the Director of Marketing and Communication of the Pesaro club Enzo Pugliese - our desire is to enter the territory," coloring "it in white and red. we consider it an important vehicle in terms of visibility, we want to be followed more and more by families, always involving them alongside children, women and supporters. There will be other surprises: we are thinking of a program entirely dedicated to Vis Pesaro and an official magazine Vis Pesaro ".